We repair the major chiropody drill brands such as Berchtold, Canonbury, Hadewe, Bentlon, Footman, Evo 30, 40, 50, Unitronic, Podo tronic, Podospray, Podiacare, Suda and others upon request. 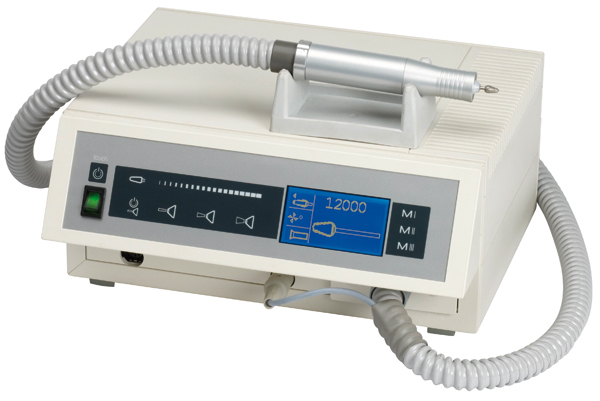 We are SVTS Medical equipment repairs; we repair most Podiatry Nail Drills, electrical/electronic appliances, and equipment used in the Beauty industry. We offer an excellent, competitive and an efficient repair service. We will never tell you to throw your equipment away, just so we can sell you a new one. Instead, we use our best efforts to repair the equipment that you already own. With access to spare parts from accredited suppliers & manufacturers, you can be assured that the very best resources are utilised in our repair process. All repairs are done in-house by our engineers, no subcontractors; just our honest and straightforward repairs service. SVTS repair to component level. This means that we replace faulty component(s), instead of replacing a whole circuit board (as is becoming the fashion around the industry). This results in a far more economical repair and is 50% cheaper than a replacement PCB. Safety and reliability are two factors which SVTS pay particular attention to. When a product is sent to us for a 'General Service', we test all aspects relating to safety. We replace or test all components which could be reaching the end of their service life. We can also provide you with a written report. All of this helps to prevent equipment failures during procedures.